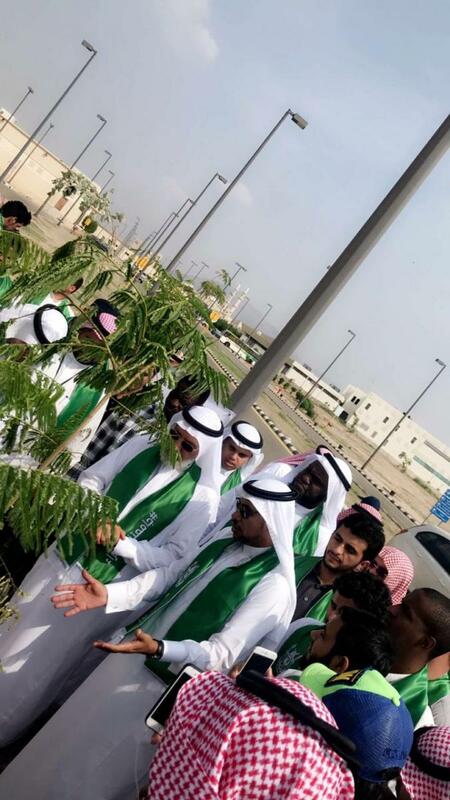 A number of students from the Colleges of Engineering and Computer in Al-Leith, representing the Student Club, participated in the Greening Campaign launched by the UQU Deanship of Student Affairs under the slogan “Our University Is Green” on Thursday, 30 Safar, 1440 A.H. The participation of the Club’s students represents a significant part in the dissemination of initiatives and enforcement of the role of environmental development. They asserted through their participation the importance of greening in maintaining the ecological balance, purifying air and controlling sources of pollution.